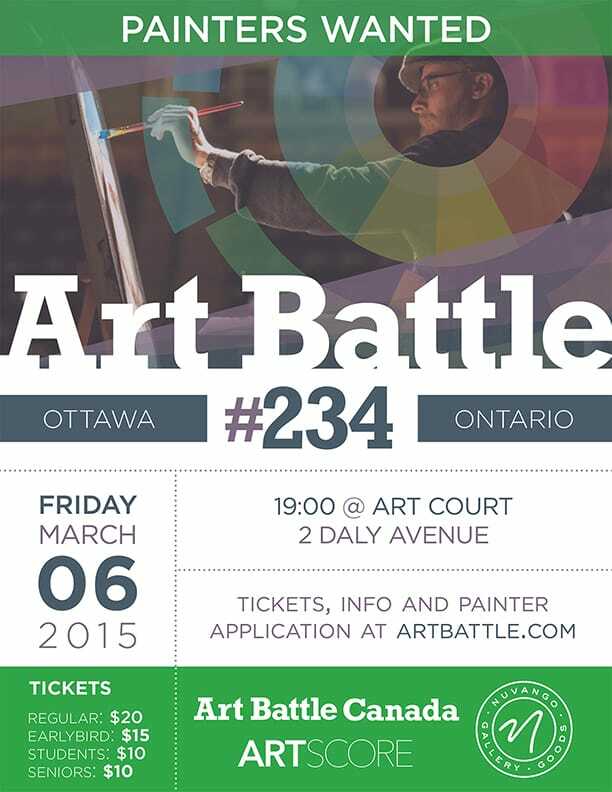 Join us at Arts Court in Ottawa for an exciting night of live competitive painting. AB Ottawa is having an amazing 3rd season and we can’t wait to be back at the easels in March! Congratulations to Sarah O’Neill, winner of our February event in Ottawa – Sarah and other Champions from this season will compete in the Ottawa Regional Finals this June. The winner of that event will move on the to National Chammpionship in July.